Since Apple iPhone 6 (Plus), iPhone can record video at 60pfs 1080p and 240fps on 720p. And the camera is said to be much enhanced in iPhone 8 this year. Better still, you can choose to burn iPhone 8 recorded 1080p video to DVD for full HD video playback on widescreen TVs with standalone DVD player. But the problem is the everyday iPhone users might not know how to do it. 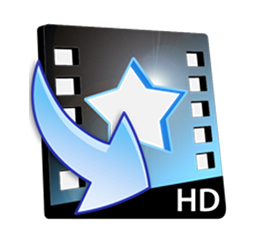 So here we are, serving up everything from how to record HD 1080p video at 60 fps with iPhone 8/7/6, to how to burn iPhone 8 recorded HD video to DVD with iMovie, iDVD or other DVD burner, after our iPhone 8/7/6 Free Movie Apps Websites offering. Free burn iPhone 8/8 Plus recorded, as well as iPhone 7/6S/6 recorded 1080p 720p video to DVD with chapter menu on PC. How to Record 1080p Video at 60 FPS with iPhone 8/7/6? Before we get started on burning iPhone 8 recorded video to DVD, let's first be clear about how to record full HD 1080p video with iPhone 8. Both new iPhone 8 and iPhone 8 Plus feature higher settings of camera, mainly on pixels and optical image stabilization to record 1080p full HD video at higher FPS (60), which is even more perfect for burning to DVD. By default the iPhone 8 and Plus record videos at 30fps, you need to do some adjustment on the Settings. 1. Go to the Settings in iPhone 8 or iPhone 8 Plus. 2. Choose Photos & Camera. 3. Toggle switch button when you see Record Video at 60 FPS to turn it on and that's it. Beware: Higher FPS means larger storage space. A 1-min video at 30fps takes up 130.4MB storage space, whereas the same at 60fps needs 196.5 MB. 1. You will have easier access to iPhone 8/7/6 recorded video playbacks on Apple TV to enjoy widescreen visual effect, with menus, chapters and your favorite music, subtitles, or pictures background. 2. You can make it a special gift for loved ones by burning your precious videos recorded with iPhone 8/7/6 to DVD disc to share with them your great experience. How to Burn iPhone 8/7/6 Recorded Video to DVD? There are two methods to convert HD video recorded by iPhone 8/7/6 to DVD, which will be presented to you in the following parts. And you can choose which one you prefer. Check the file size of your iPhone 8/Plus recorded video (should be less than 2GB) ->- Import the video clips to iMovie ->- Edit recorded video in iMovie ->- Choose "Share" from iMovie's top menu bar and click iDVD ->- After the video was opened in iDVD, type in a name for the DVD ->- Choose a DVD theme and customize the DVD menu ->- Insert a blank DVD and click "Burn DVD" under the File option. Could the iPhone 8 (Plus) recored video to DVD burning be realized without up to ten steps with two to three apps like iMovie and iDVD? 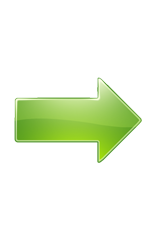 Free DVD burning software like WinX DVD Author can help you with that, without the aid of third-party tool. Download this DVD burner and follow our tutorial to easily burn iPhone 8/7/6 recorded video to DVD. Step 1: Launch WinX DVD Author, insert a blank DVD disc and click Video DVD Author. 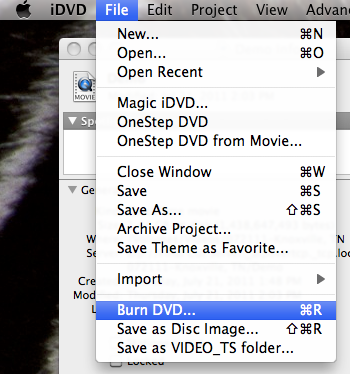 Step 2: Click "+" to add your iPhone 8 (Plus) recorded video clips in .m4v or .mp4 for DVD burning. >>Burn MP4 to DVD. Step 3: Click the arrow button to continue and you will come to the process of creating DVD chapter menu. You are free to choose background images and music here or to press button "TT" to make title/chapter menu. Step 4: Choose a desired output format and folder, and then click "start" to burn your iPhone 8/7/6 recorded video to DVD. That's all of it. And it seems like converting video recorded by iPhone 6/Plus with such a free DVD burner is much easier than with iMovie/iDVD. 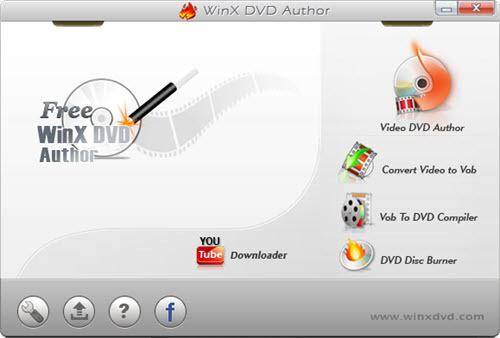 WinX DVD Author – A totally free DVD burning software, which helps easily and fast create home video DVD from video files, camcorder, webcam, YouTube and personalize it with DVD chapter menu & subtitle, fully compatible with DVD+/-R, DVD+/-RW, DVD DL+R, DVD DL+/-RW.